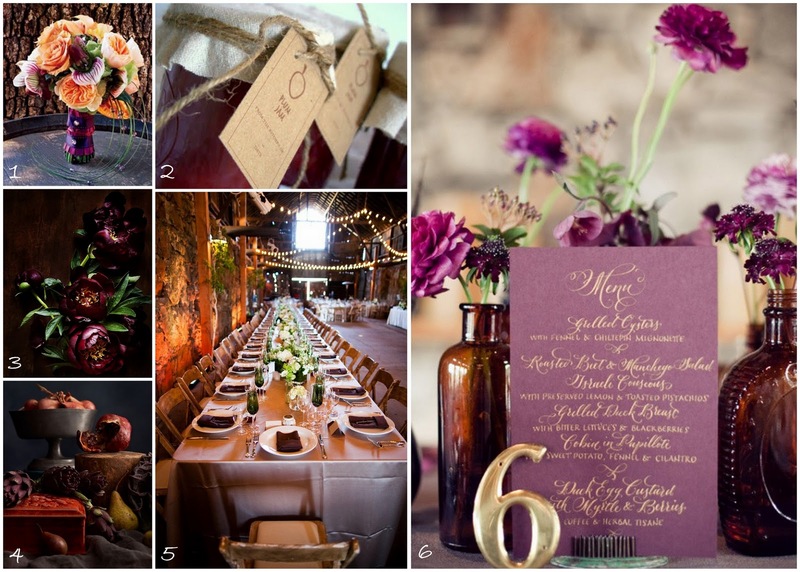 Of many palettes out there for a fall wedding, I find plum with hues of orange and brown is absolutely stunning. 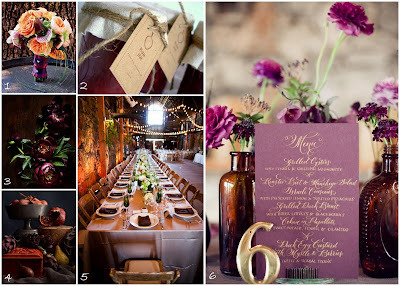 The image of the vintage brown bottles of varying styles and sizes, with plum hued flower stems sets a beautiful tone. It's simple, it's elegant, a little rustic, and easy to assemble. A great favor idea for a fall wedding with a plum theme is to make homemade jars of plum jam! Not only is the fruit an accent in your color palette, it becomes apart of what your guests take home. Everyone will remember your plum sweet wedding! Whatever inspires you, have fun with it, you never know what will inspire you!